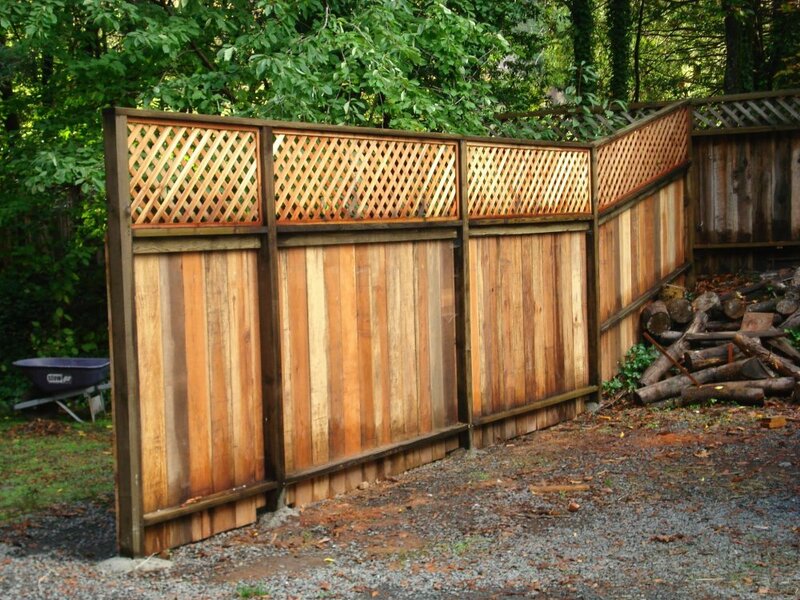 Your basic Fence design. Built to last with tar treated bases and mounded concrete to reduce moisture build up around the base. Of all the fences and decks I replace 90% of them fail in the first 6 inches of soil. So we take extra effort to insure that this portion of our decks and fences are super protected. We build them to last!